Midwestern Gothic staffer Henry Milek talked with author Keith Taylor about his book Ecstatic Destinations, celebrating nature, local writing, & more. Keith Taylor: My family moved to South Bend, Indiana, when I was 11. For many years I had a terrible time – it was, after all, the late sixties; we had moved from rural Western Canada to a beat up Midwestern city in decline (Bendix, the largest employer in South Bend, had recently closed and all the factories were empty); and I had to get through my adolescence. In 1975 I moved to Michigan, and things began to get better. Michigan culture – or at least the culture I first got to know – is focused on the Lakes. Those Lakes, the Great ones, anyway, share a border with Canada, and many of my ancestors had lived just on the other side of them. I almost felt as if I were home. By 1979, after I had moved to Ann Arbor and married a woman from Detroit, I was seeing a larger set of connections in the region. As I got to know Detroit – then in it’s most difficult period – I grew to love it, too. The simple fact that within five hours I could drive from Detroit to Sault Ste. Marie, cross the bridge, and be in the northern forest of Canada that stretched all the way to the Arctic – well, those differences intrigued me. They still do. I like to think that they inform my writing. At the same time I became a bookseller in a large book shop in Ann Arbor. The first and, at the time, the only Borders Book Shop. I had already read widely in the regional literature and both my employers and our customers began to expect a certain expertise about Midwestern literature. So I wanted to read this stuff and my job rewarded it. The attitudes of Midwestern literature and the Midwestern literary life became many of my attitudes. Later, when I became a teacher at the University of Michigan, those attitudes shaped my teaching. HM: You recently retired from a long career of teaching. Now that we’re few months past the end of the school year, do you have any final thoughts on the whole experience? Any achievements you’re particularly proud of? KT: When I am asked how I got my job at UM, my usual response is that I went around back and climbed in through the bathroom window just before they bricked it up. I like to think I did a good job at Michigan, but I’m not at all sure someone like me could ever end up in a position like the one I had ever again. After all, I only have an MA from Central Michigan University. When I came in, I had a couple of very small press chapbooks, a fairly long list of mostly regional small press publications, and a National Endowment for the Arts Fellowship. Michigan’s English Department needed some help, and I could help them. There weren’t nearly as many unemployed MFAs around then as there are now. And then I didn’t screw up and I wasn’t completely self-absorbed; that was important. Even though it wasn’t great money, being a Lecturer at a university paid better than being a clerk in a bookshop. And (my teaching friends hate it when I say this) the work was a lot easier than selling books; the vacations were amazing; the benefits were good. I was always interested in student work, undergraduate work at first and later that of the graduate students in Michigan’s MFA program. These students forced me to keep up with the changing patterns of contemporary letters. I was paid to stay fresh, and that was amazing. And, of course, the greatest lasting pleasure of that work is reading the books by the successful graduates. There are probably more than a hundred people whom I worked with who are regularly publishing books, and I try to keep up with all of them. As a teacher I was more important to some than others, but I still think I added something to the process of their work, even if only by removing a tiny obstacle or two. Books are important to me. I am proud that I could help a new generation of writers produce theirs. At Michigan, just to keep myself interested, I reached out to other departments, other kinds of artists and thinkers. I worked with musicians, biologists, dancers, scholars of modern Greek, historians and others. I’d like to see some things I’ve helped create – like the undergraduate concentration in creative writing, or the writing course at the Biological Station, or the Bear River Writers’ Conference – continue. All of that said, I’m not yet missing the teaching. I still feel kind of relieved I don’t have to live up the expectations of students and colleagues any more. It was getting harder to do, anyway. To misquote one of my own poems – I have fewer people to disappoint. HM: You’ve been involved with a couple different programs through the University of Michigan that combine writing and nature, namely the Biological Station and Bear River Writers’ Conference. Why do you think it’s important for writer’s to work in such environments? How specifically does it help a writer grow? KT: I’m typing these answers sitting at a picnic table on the south shore of Douglas Lake at the University of Michigan Biological Station. I’m not teaching this summer but have an appointment as their Artist-in-Residence. It will probably be my last summer up here, because other people, other artists, need to have the experience I’ve had here. I’ve already passed the reins of the Bear River Writers’ Conference on to Laura Kasischke and Cody Walker, two remarkable writers who have had a long connection to the conference. I think the money situation there is in pretty good shape and the conference shouldn’t have to worry about things for quite a while. Now I won’t make a blanket statement that an artistic experience of the natural world is important for all writers. I read and honor too many writers who don’t feel that at all, even some who make fun of those of us sometimes categorized as “nature writers.” I’m far too old to get pissed about that now. But much of my most intense experience of the world is in the forests and on the waters that flow through wild places. I have spent much of my life learning the names for things and trying to understand the natural history and science of these places. I am comfortable here (even though I just swatted a mosquito). Then there is the simple fact that the world, all of it, all of us, need these places to stay alive. Need clean water, need clean air, need to find a way to ameliorate the effects of climate change. If anything I write can reinforce these attitudes, even in only a tiny way, then I certainly think it is worth it. I cringe a little bit here because that sounds as if I have some non-artistic agenda, and I don’t really. This is the material that often moves me to the work. I will be happy simply to celebrate it all. While I was trying to figure out the answer to this question, a ruby-throated hummingbird buzzed past my head and a loon called from the lake. I wish you could all hear this and hope your children have the chance. Specifically? Working with scientists or having an in depth experience of the natural world helps a writer learn the names for things and processes that shape that world. A writers’ conference helps remind us all that we are not alone in the process of making things. HM: On top of your academic career, you’ve been an active and prolific writer for years. How did you manage to balance your professional and creative life for so long? KT: I was a writer long before I haphazardly assume “the profession” of teaching. It had already become the way I defined myself and the way I understood the world. I came from people who didn’t have a lot of money, so I always had to work. My reading and writing always fit around the day job – before, after and, yes, during. All of my jobs, even teaching at the University of Michigan, came after and were incidental to the writing. The real work. Many times I was willing to sacrifice the job for the writing. After I became a teacher of writing, then the job didn’t seem as far removed from what I really wanted to do. A big university provides people a lot of resources to help pursue undefined ideas, and I took advantage of that. And there are those vacations – did I mention that? Long extended periods of time when I could read and write – the two greatest pleasures of my life! I have gone through periods, never very long, when I haven’t been writing, but I’ve never blamed the day jobs for that. I’ve blamed my own lethargy. HM: Your new chapbook, Ecstatic Destinations, is based around a very specific part of Ann Arbor. Why write about this? What did you hope to capture and share about the city with your reader? KT: First, it started because I was moved to poetry by watching the skate-boarders at the local park as they did their thing so elegantly. I drafted that poem while sitting on a park bench across the park. It seemed that they were flying. When I looked up from that work, I saw that there were two used condoms lying down at the end of the bench. Then I thought that the poem wouldn’t be true if I didn’t have the condoms in there. That became the last poem in the chapbook. So there was a very specific occasion that began this. I’ve often made noise about the necessity of the local, so I thought I would act on that idea as this book began to take shape. Lots of the good liberals in my sometimes overly precious little town are embarrassed by the place, the easiness of living here. I understand that entirely. Yet I live here, and I like it. I decided that in this small way I would exercise ideas I give lip service to. I would find the poems in my otherwise unassuming neighborhood. If readers outside take something from this, I hope they can understand the appeal of some of things of that neighborhood. Or, at least, they might be sympathetic to the process of finding poems at home. For the people in my neighborhood, I hope they recognize the poems that are around them. But this collection has smaller ambitions than some I’ve done. I’m happy to keep it in its little place. I was really happy that it was published by an Ann Arbor press, too. That seems right. HM: Do you hope that Ecstatic Destinations connects more with readers who are familiar with its setting, as you are, or with those who are not, allowing you to introduce it to them? Might your chronicled experiences in the book apply to anyone’s experiences with a place they are intimately familiar with? Or would you describe it instead as a portrait of your experience alone? KT: Oh, these are my experiences, my perceptions. I don’t think I’ll convince anyone to turn a little piece of unmaintained parkland into a sacred grove of biblical proportions. I don’t think anyone will find the hand of God writing cryptic messages in jet trails. Yet I hope some readers might recognize the possibility of this kind of perception. This is a very small print run by a small press in a particular place where I have a few readers. I expect that most readers of this book will be in my town, where I’m lucky enough to have a small audience. If it reaches past that, won’t that be something! A very pleasant surprise. HM: How does Ecstatic Destinations represent where you are today as a poet? Compared to your earlier work, for instance, what do you see having changed about your process or purpose? KT: I don’t think the process has changed that much. I am moved toward a lyric poem, usually short, by a specific image or a series of words that have a distinctive sound to my ear. I work with that until something starts taking shape, and then I spend a good deal of time trying to determine if that hangs together. By claiming my neighborhood as the place of these poems, it changes things a bit. I’m not our searching wild places and trying to understand the things there. I’m not sure yet if that’s actually a new direction or simply a short diversion. We’ll see. Again, it’s too early to tell, but I’ve noticed that most of the poems I’ve written since Ecstatic Destinations have people in them, are centered on other people, tell their stories or find images in other people’s actions. That seems new, but I have no idea yet if it will continue. I’m also working on two long poems, ones I imagine as 10 pages long or even longer. Poems I’ve had to do research for and think about over long periods of time. I have no idea if these poems will come to be anything yet, but I’m hoping. They will definitely be different. HM: Looking back over your extensive list of collections and books, what do you find connects all of your poetic work? What are the core ideas and ideals that pervade your poetry? KT: That’s a tough one, and perhaps it might be best to leave to someone else to answer, if anyone wants to spend that much time with my work. For most of the last half century, I have tried to define, imagine, and often celebrate my place in the world. I have tried to do that in language that is direct, unadorned, complicated when it needs to be but as simple as possible. KT: At the very least, I hope to continue reading and writing at the pace I’ve always worked. Right after I finished at the University, I decided that I would step up my book reviewing. I’ve always done it, but I think now I could do more. I have some good venues open to me that I haven’t always taken advantage of, mostly because I was too busy and they didn’t pay much or anything. I think an active discussion about books stimulates the literary environment, and I can help in a small way. So I will. I have three large prose books I want to finish while I’m still here, in this vale of tears. We’ll see if that happens. The poems will keep coming I think. I’m hoping to have a New and Selected Poems out when I’m 70, four years from now. The trouble is I don’t think my main press (Wayne State University Press) is much interested in that. I might have to find someone else to do it, and then I’ll have to negotiate rights. That won’t be much fun. Although I hate the phrase “bucket list,” I do have a couple of big things on that, things that will necessitate some travel and that will cost probably more money than I an afford. It will be fun. And I want to work at keeping my perceptions of the world fresh and open. I know there’s a complacency that comes with age. I’ve felt it waiting out there just on the edge of my imagination. Old folks sometimes try to say it’s “wisdom,” but I’m not so sure. Keith Taylor has authored or edited 17 books and chapbooks. 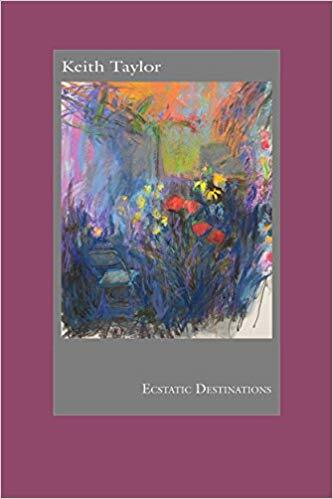 His most recent, the chapbook Ecstatic Destinations, was published in 2018. His last full length collection, The Bird-while (Wayne State University Press, 2017), won the Bronze medal for the Foreword/Indies Poetry Book of the Year. His poems, stories, reviews, essays and translations have appeared widely in North America and in Europe. 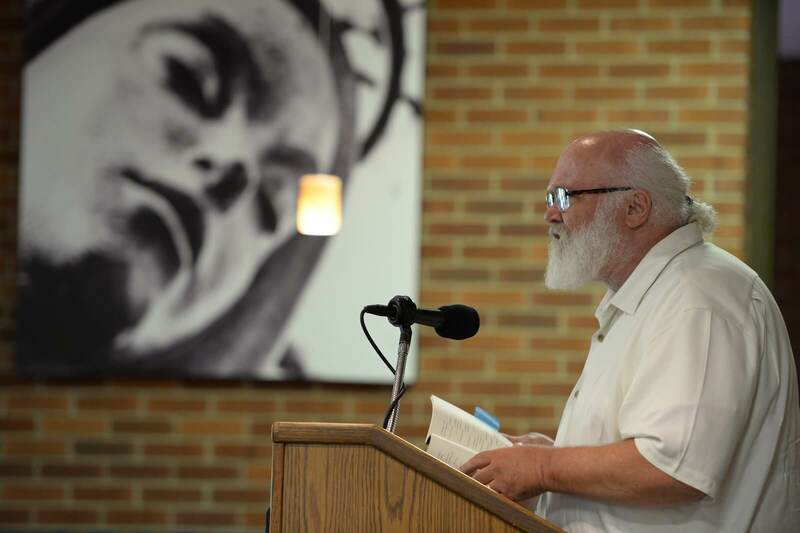 He has recently retired from the University of Michigan, where he taught Creative Writing for most of 20 years. He has received a Fellowship from the National Endowment for the Arts, and one from the Michigan Council for the Arts and Cultural Affairs. He has been Writer/Artist In Residence at Isle Royale National Park, the Detroit YMCA, The International Writers’ and Translators’ Centre of Rhodes, Greece, and the University of Michigan Biological Station.